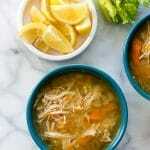 Easy Chicken Soup Recipes - Comfort Food At Its Best! 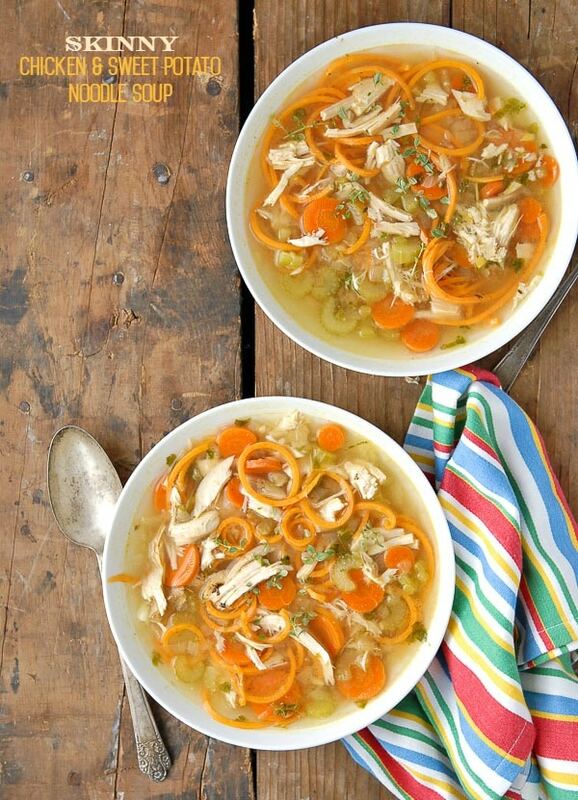 Easy Chicken Soup Recipes are a must to take the chill off winter. This collection offers great options for every flavor preference! There is nothing more comforting than soup in the cold weather season. Chicken soup in particular seems to conjure cozy grandmotherly feelings that make any day feel better. Whether looking for an easy dinner recipe, a hearty lunch idea or a soul-warming side dish, these easy chicken soup recipes will help you find a new favorite! I prefer to start chicken soup recipes by sautéing some aromatic vegetables which add a great flavor base to the broth. Onion, celery and carrots are a classic vegetable trio to start with. 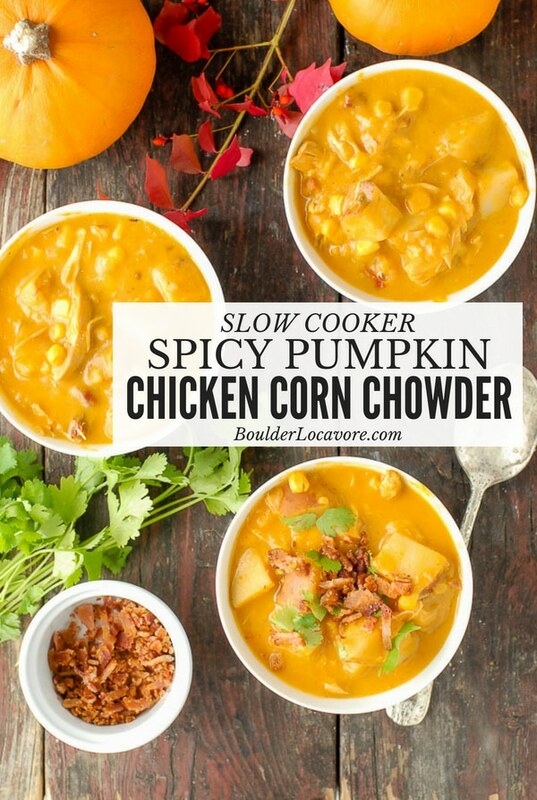 Other ingredients are added and simmered to develop a full comforting flavor! I personally always make a big batch of easy chicken soup as soon as any sniffles start in my house during the winter months. True fact or Old Wives Tale that chicken soup actually helps a cold? Multiple medical journals and professionals have published opinions that chicken soup actually helps relieve symptoms of cold and flu. Benefits include reduced inflammation, reduces congestion, helps improve dehydration, helps the spread of infection and more. Chowder, usually associated with seafood, is a thick soup. It often has a chunky consistency. Chowders can be cream-based or broth based. I prefer this trick from Moist Homemade Shredded Chicken Breast for speed and ease when making my easy chicken soup recipe. When I make a large batch of easy chicken soup, I often freeze some to have on hand when the need strikes and I might not have time to make some. Most chicken soups freeze well. The exception is a cream-based chicken soup (any cream-based soup actually). The cream can separate after being frozen and when reheated the soup is not as creamy as when originally made (it can be eaten but often doesn’t have the same original consistency). Allow the soup to cool slightly. Pour into a freezer-safe container (like these quart freezer containers for soup) leaving 1-inch ‘headspace’ in the jar (space between the top of the soup and the top of the jar for expansion when freezing). Note on ‘headspace’: some space needs to be allowed in the freezing container for expansion. Enough for the soup’s expansion without forcing open the container but not so much that ice crystals will form and change the flavor of the soup. 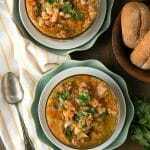 Whether you prefer simple chicken soup or something with a spicy punch, these recipes offer a delicious collection of options for every way of cooking! The basic Easy Chicken Soup recipe at the bottom of the page is perfect for a simple comforting soup or as a base to layer on additional ingredients and seasonings. 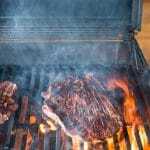 Click the Recipe Title for the recipe! Shredded chicken, tomatoes, corn are only some of the delicious ingredients in this slow cooker soup! Finished with taco toppings making it perfect for a party! This delicious chicken soup cooks quickly and easily in the Instant Pot. 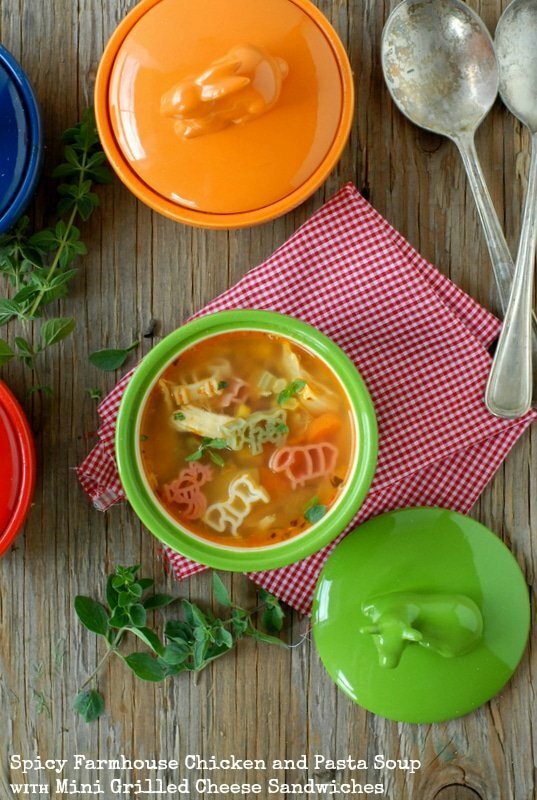 Everything you love about easy chicken soup is in this recipe along with flavors of ginger, jalapeno and a tang from apple cider vinegar! 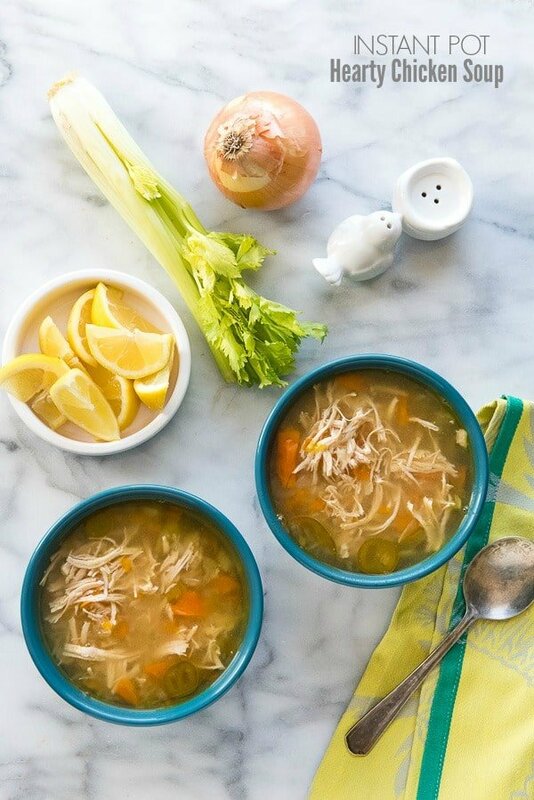 This easy chicken soup recipe includes some immune boosting ingredients to pump up the flavor AND the benefits of chicken soup for a cold. It’s a staple in my kitchen whenever the first signs of a cold appear. 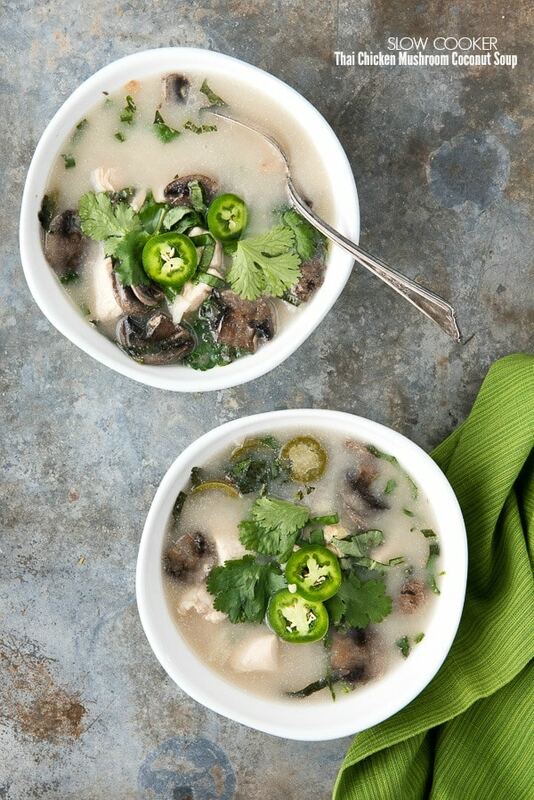 Fresh, citrusy and bright describe this fragrant Thai-influenced chicken soup. Lemongrass, kaffir lime leaves and coconut milk are just the start! 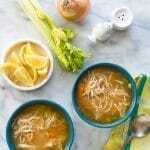 Love noodled in chicken soup but not the carbs? Spiralized sweet potato noodles step up in this recipe for noodle satisfaction with a healthy twist! Purchased spiralized squash noodles can be substituted for making them yourself for even more time saving! 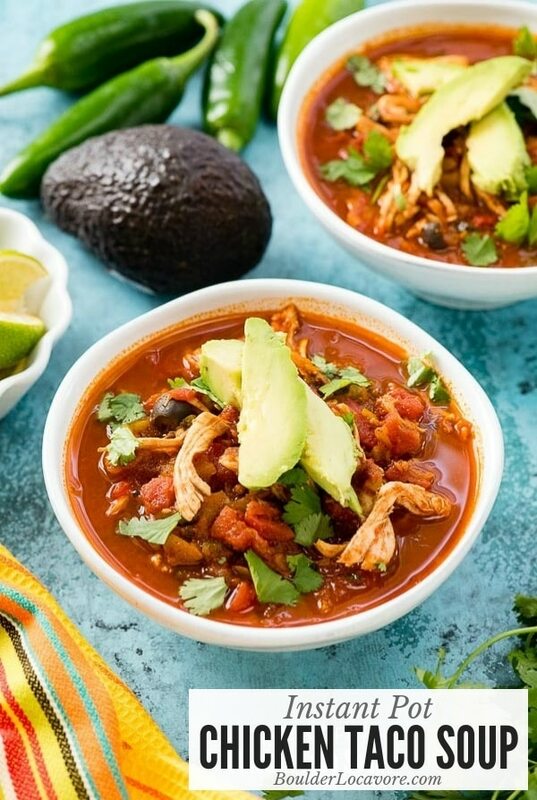 Favorite Mexican flavors combine easily in the Instant Pot to create this Chicken Taco Soup. Spicy seasonings in a tomato-based broth make for a hearty soup with fresh toppings. Loads of vegetables, chicken, potatoes and pasta make this hearty soup a favorite. Regular or gluten-free pasta may be used! 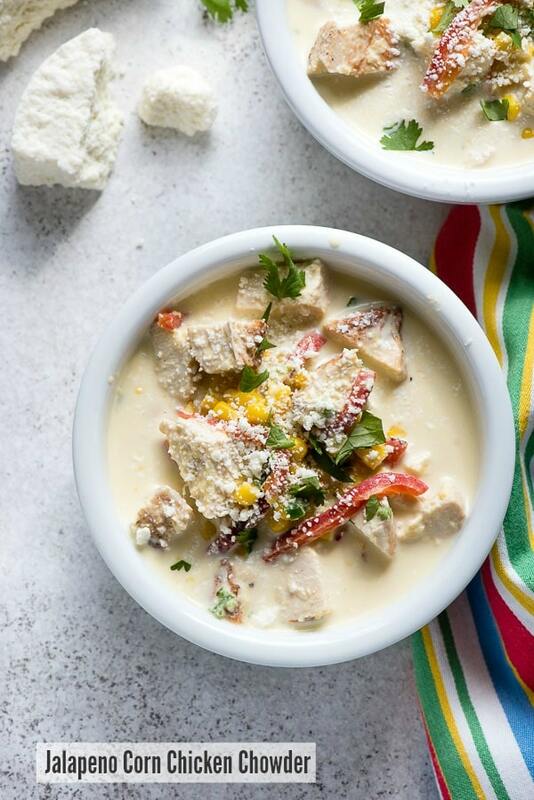 If you love a chunky chowder with some spice, this Jalapeno Corn Chicken Chowder is for you! 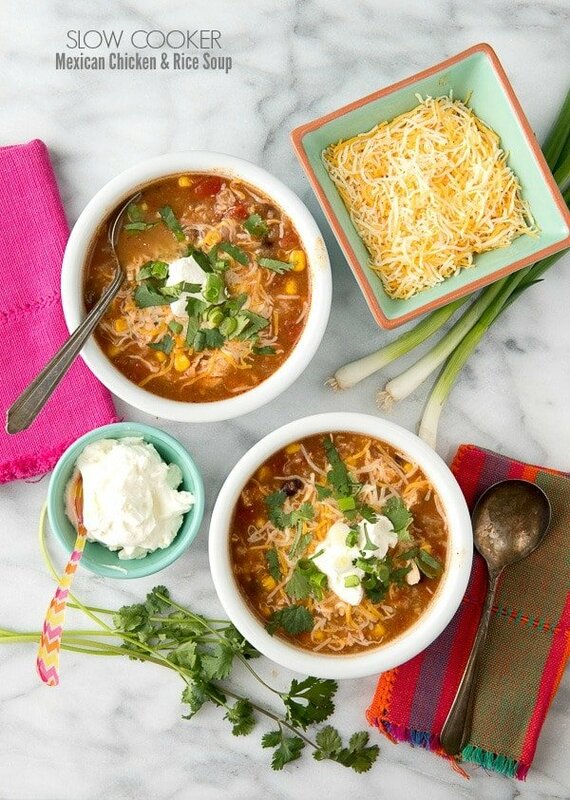 Mouthwatering ingredients combined in an irresistible soup that’s always a favorite. This easy chowder recipe combines chunky ingredients of potato, corn and chicken in a spicy pumpkin broth (it is not overly pumpkin-y tasting). 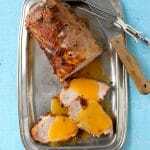 It simmers away in the slow cooker making easy work of a filling meal. 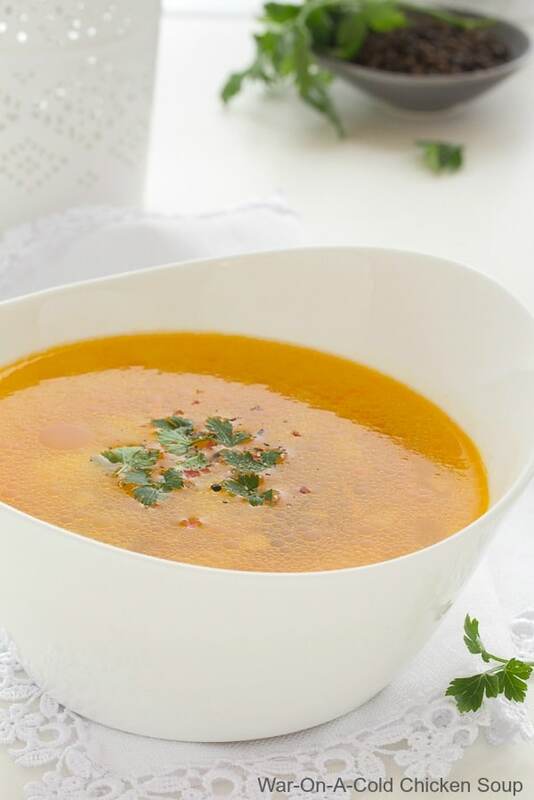 Easy short-cuts give this soup great flavor in less time! 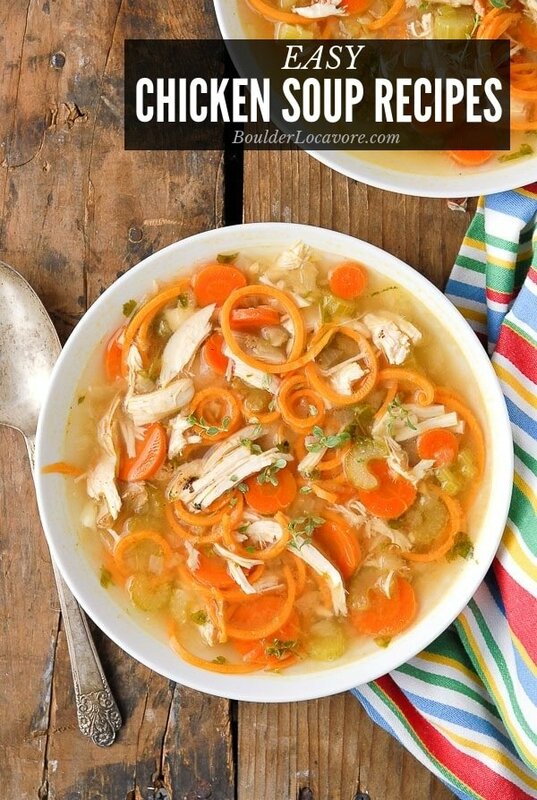 If you’ve made this Easy Chicken Soup recipe please RATE THE RECIPE below! This simple chicken soup recipe is great for a soothing sipper or as a base for adding more ingredients. Combine the carrots, celery and onion into a food processor or mini chopper and chop into small bits. In a stock pot, warm the olive oil over medium-high heat. Add the vegetables from the food processor and sauté 2-3 minutes until they begin to soften. Add the chicken, the chicken broth and the water. Bring to a boil then lower heat bringing soup to a simmer. Simmer for 30 minutes or until chicken is fully cooked. Love this as I am at home suffering from a cold and wanted to try to make a different chicken soup than I normally would make. Thank you. Oh no! So sorry to hear that. Chicken soup is like a hug in a bowl❤️ Feel better! I love SLOW COOKER MEXICAN CHICKEN AND RICE SOUP! It’s my comfort food during sick days. Also, it gives a kick of flavor! I’ve never thought to freeze chicken soup before. I bet it does come in handy during the cooler months.